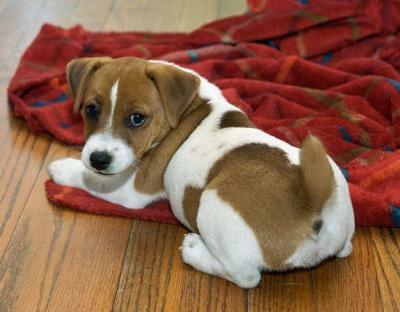 Breeder of the short-legged Jack Russell Terrier in Fredericksburg, Virginia. We bred to produce a healthy, quality pup with a great temperament. Our Jacks are intelligent, loyal and make wonderful companions and nice family pets. All of our dogs are raised in our home, not a kennel. EJRTCA and AKC-FSS registrations. We have only a couple litters a year. Please see our website for more information. After the passing of my Jack Russell of 14 years, I researched breeders for over 6 months before purchasing another Jack Russell. Knowing I did not want a hyper, noisy or "out of control" dog I diligently spent countless hours in search of the perfect breeder. I am happy to say all my hard work paid off. I have recently purchased a Puppy from Spotswood Jack and would like to say the owner Lynda is extremely devoted and dedicated to only breed quality, great temperament, healthy, intelligence and loyal Jack Russells. The beautiful ranch she lives on as well as her loving family make the perfect environment and combination to raise Jack Russells. All of her puppies are raised with her family in her house NOT in kennels. Her years of devotion to this breed shows in her dogs. Lynda also works in the Veterinarian field which gives her great knowledge in their well being. I would highly recommend this breeder.